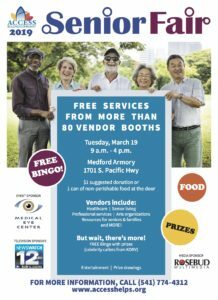 Free services from more than 80 vendor booths. $1 suggested donation or 1 can of non-perishable food at the door. Vendors include: Healthcare, Senior Living, Professional Services, Arts organizations, Resources for seniors & families and more! 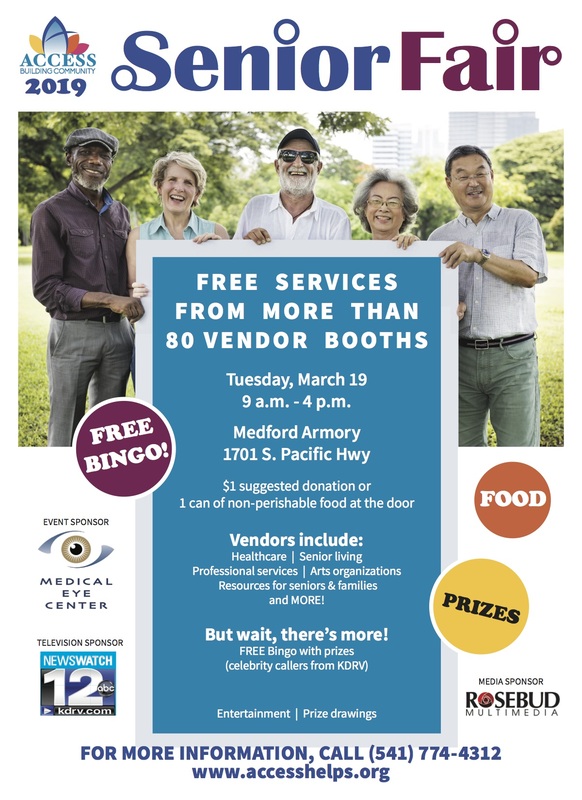 Free Bingo with Prizes (celebrity callers from KDRV).